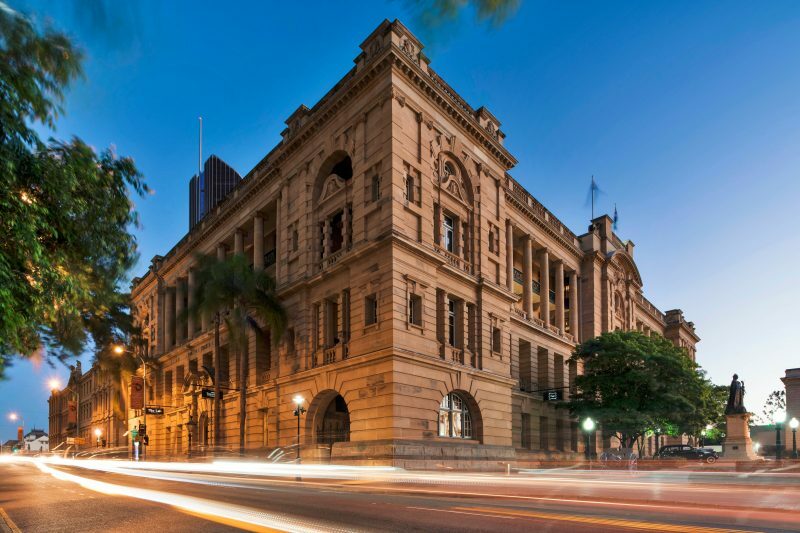 From the energy, excitement and adventure of a 24 hour casino to the colonial charm of a deluxe hotel, Treasury Brisbane encompasses the best of both worlds, providing more choices in entertainment, dining and relaxation! 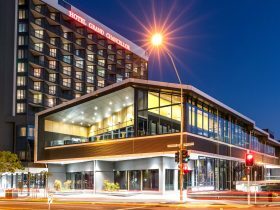 Situated in the heart of this sparkling river city, this magnificent hotel and casino occupies two of Australia’s oldest and grandest heritage buildings, which have been meticulously restored to preserve the historical integrity. Formerly known as the Treasury Building and the Lands Administration Building, they were constructed in various stages between 1886 and 1928. 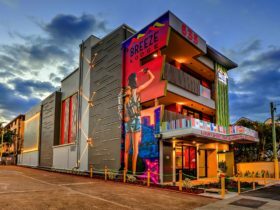 Treasury Brisbane boasts five restaurants, including The Lab restaurant and bar, Fat Noodle and Black Hide by Gambaro. In addition, live music is provided from Thursday to Sunday with five bars to choose from when it’s time to relax with a drink. 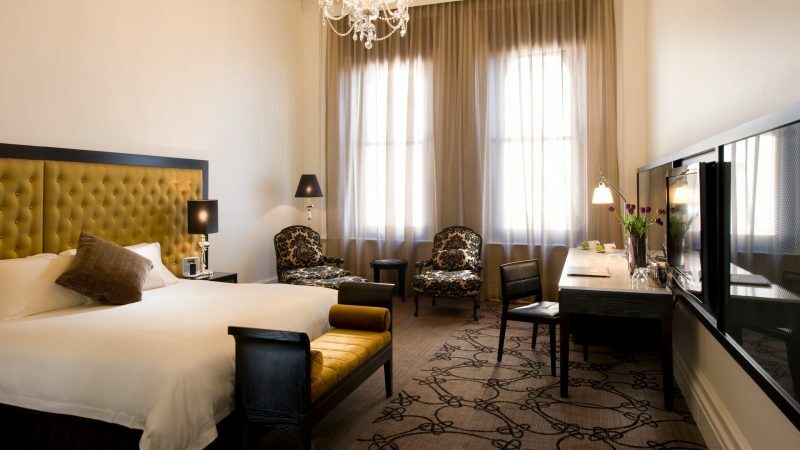 The old-world charm of the Treasury Hotel has also earned many awards for service and quality. 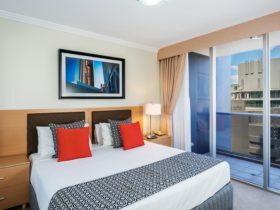 With 127 rooms, the hotel has a distinct boutique style appreciated by both the corporate guest and the holiday maker. 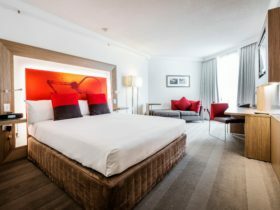 Indulge in an array of luxury appointments in their Deluxe room, featuring Chiro Support plus Pillow top bedding exclusively designed for Treasury. Majestic King pillows and “The Cloud” feather bed topper complete the ultimate relaxation experience. Luxuriously appointed marble bathroom completes the experience and creates a private sanctuary from the outside world. Immerse in the sense of space that surrounds these inimitable rooms. Some with their original exposed beams and sky light these well-appointed rooms feature majestic 18 foot high ceilings, lounge and dining area, two large LCD televisions, iPod Docking Stations and private balcony. 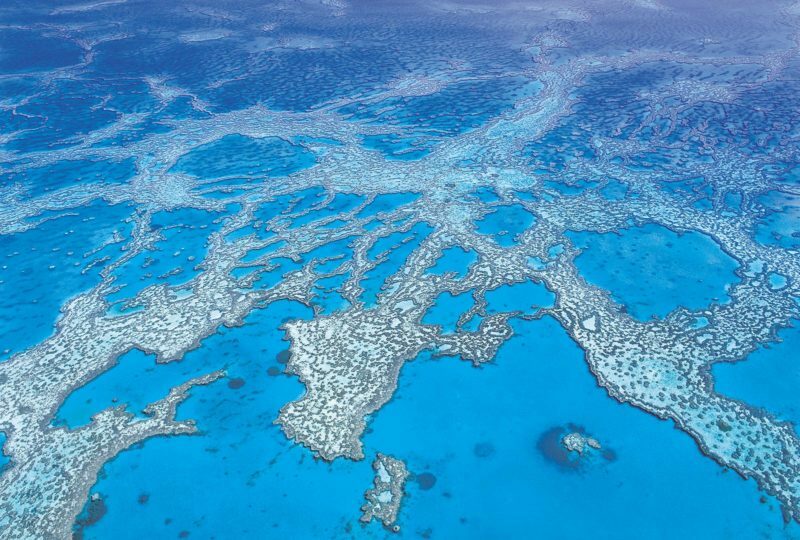 Other appointments include VIP Molton Brown bath products and Byron Bay Cookies. Each room with its own unique character and charm their Parlour King is the perfect blend of opulence and comfort. 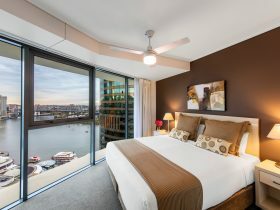 From the superb views of Brisbane to the 18 foot high ceilings and large marble bathroom an experience like no other awaits.